The following French Bulldog pictures illustrate why this breed has become so popular over the last few decades. A combination of the English Bulldog and certain French Terriers, the "Frenchie" is an adorable bundle of personality and affection. Learn a little more about the breed in this engaging slideshow. All puppies are basically cute, but a Frenchie pup is simply adorable. Who wouldn't want to give this little fellow a snuggle? The Frenchie's endearing personality makes it a suitable companion for children and adults. Frenchies may appear to be small dogs, especially when stacked up against a number of other breeds, but these dogs are no lightweights! The average adult Frenchie weighs about 20 to 25 pounds and is solid-packed with muscles! It's a fact that Frenchies are not great swimmers. Their stout bodies tend to sink no matter how hard they paddle. If your dog will be anywhere near the water, be sure he has his own life vest for protection. Although more energetic than their English cousins, French Bulldogs are still prone to weight gain. This can lead to other health problems, so caretakers need to monitor their pet's weight throughout its lifetime. Frenchies are exuberant companions, but they are occasionally known to celebrate life a bit too much! This little fellow is enjoying a well-earned nap. 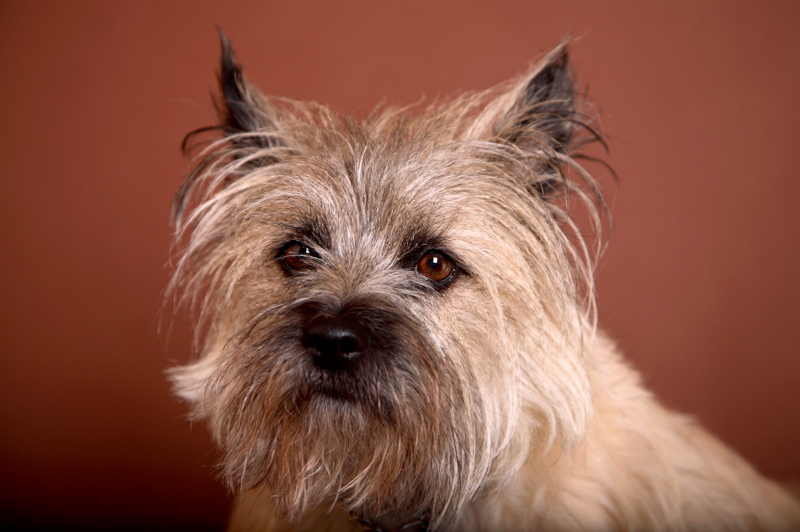 If you enjoyed this slideshow, visit Cairn Terrier Pictures to learn about another great breed.